The next time you get a new smartphone or laptop and accidentally drop it, instead of getting permanent cracks or damages to its plastic casing, your gadget might "bleed" and then heal itself. Researchers at the University of Southern Mississippi in Hattiesburg recently announced a new type of plastic they claim can mimic the human skin's ability to repair itself after being damaged. When scratched or cracked, the plastic turns red at the damaged area and then heals when exposed to light or significant changes in ambient temperature or pH. The new plastic was presented in a paper during the 243rd National Meeting & Exposition of the American Chemical Society. The secret to the new plastic's self-healing properties are tiny molecular links that span the entire material. When the plastic breaks, so do the links, resulting in the red mark at the point of damage. The red mark disappears when the plastic reforms after exposure to light or temperature changes. Professor Marek W. Urban, who lead the research, said the new plastic healing is not a one-time deal and the material can repair itself several times over. The substance doesn't appear to be ready for commercial use just yet, but possible uses for the new material include tech gadgets, aviation and military equipment. Urban's research is receiving funding from the Department of Defense. Nissan recently debuted a taste of tech's self-healing future with a new iPhone case that can also heal itself when scratched. The Nissan Scratch Shield iPhone case uses a polyrotaxane-based paint that can slowly return the case to its original state after scratches and deep cuts. Nissan also uses its self-healing paint in Nissan and Infiniti brand cars. 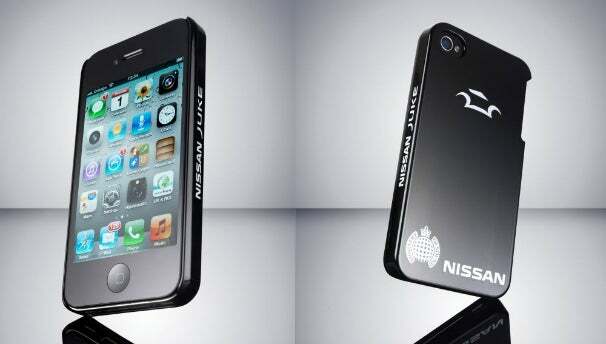 The iPhone case is currently being beta tested with a small group, but, the company says, if demand is high enough, Nissan may create a publicly available commercial version before the end of 2012. As for the "bloody" plastic, researchers are now working on using the technology in plastics that can stand up to high temperatures.